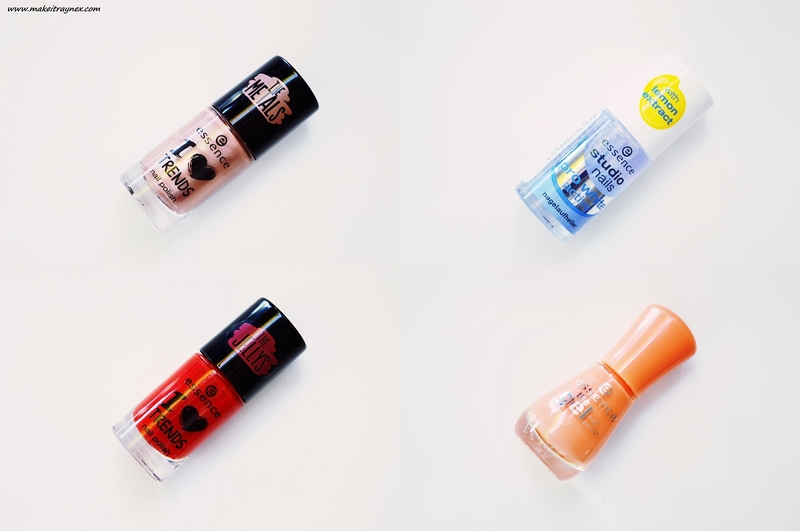 I received a few nail polish goodies at the essence cosmetics Mad Hatter’s Tea Party but due to the fact that I have the scraggliest nails ever, I thought I’d throw them together for a little giveaway! Clarification: I barely use ANY nail polish EVER. Seriaaas. The prize consists of; 1 x I Love Trends The Jelly’s polish in 28 fruity passion, 1 x I Love Trends The Metals in 33 rose beats, 1 x studio nails pro white active, 1 x the gel nail polish in 57 ice cream party (THAT NAME THOUGH!) 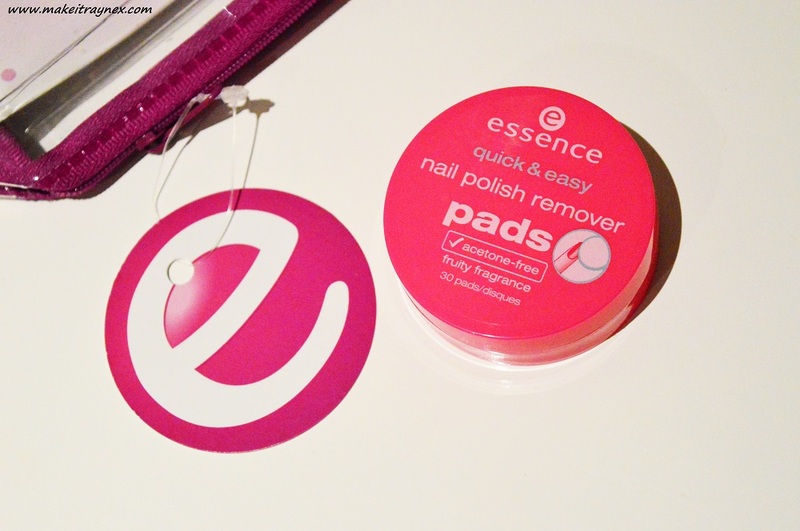 and, lastly, a tub of quick & easy nail polish remover pads. I kinda want to keep these pads because they smell like watermelons and it’s probably my favourite scent of a beauty product ever, but I feel like it ends off the hamper nicely. totally different lighting to the other pics because I forgot to include a picture of the pads the night before the competition went live and had to take one in, like, 11pm lighting. Nice one, Rayne. SO because I want this competition to be as simple and straight forward as can be, I have created an easy Rafflecopter widget below for you to enter. That’s it. Easy peasy. The winner will be announced two weeks from the date that the comp goes live. The competition is open world wide. The prize will be sent to you via courier. Love essence cosmetics,awesome nail hamper giveaway.I love the Metals Nail Polish it’s stunning. Essence is awesome. I buy all my polishes from them since its so cheap! I absolutely love the shade I Love Trends The Jelly’s polish in 28 fruity passion!!!! Hip hop hooray! Love each and every prize. You are spoiling your readers soooo much. I really Love the “Trends The Jelly’s polish in 28 fruity passion”…This color is super pretty, and Essence give us such a fantastic price/ quality ratio. 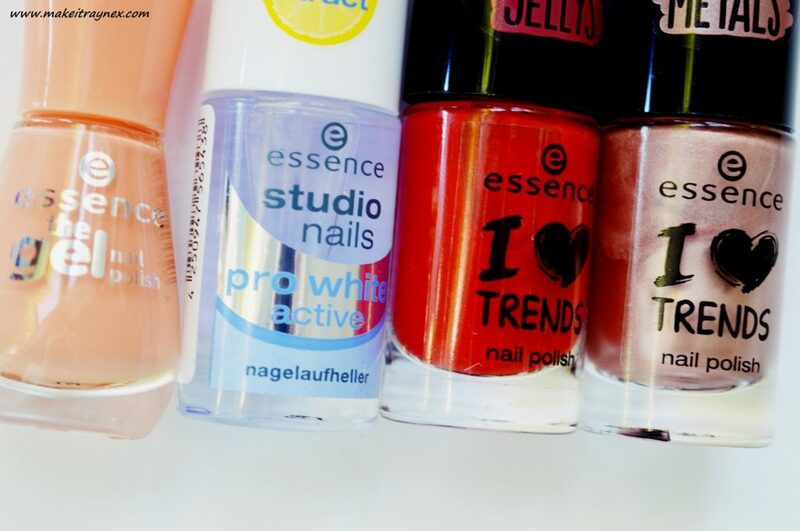 Hi there – love Essence products!! although I haven’t got magnificent nails, I love painting them even when they’re short (and scraggly). It encourages me somehow not to mess with them and give them a chance to get un-scraggly 😉 ! Entered (but don’t have twitter). Thanks! I’m excited to try the gel one! Would so love top win this … gorgeous set! Just love all things nails.Would lllooovvvveee to try the new trends. Hi my favorite 57 ice cream party. Great blog. I’ve been eyeing the ‘I Love Trends The Metals in 33 Rose Beats’. I love Essence nail polish <3 It's such great quality for the price and the variety of colours? Unbeatable! Huge follower, liked, shared, tweeted, following all your blogs!!!! My fav has got to be ‘I Love Trends The Metals in 33 Rose Beats’, so cute ! The gel nail polish in 57 ice cream party. 33 rose beats.. I love it so much it’s making me delirious ? ?